Hello friends! I hope you enjoyed your weekend! We had far too much rain here…although it did allow me to spend some time finding inspiration online. 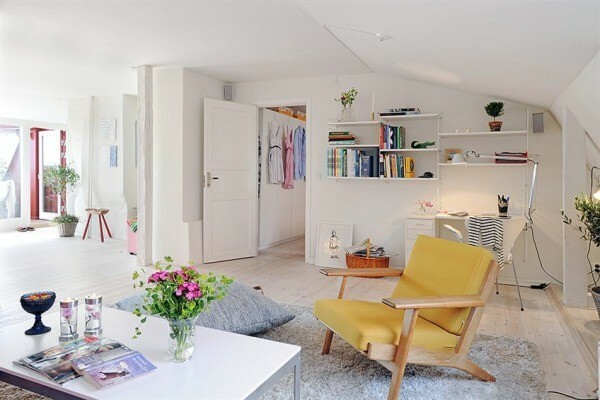 I am constantly amazed at the endless sources of gorgeous ideas on downsized living. 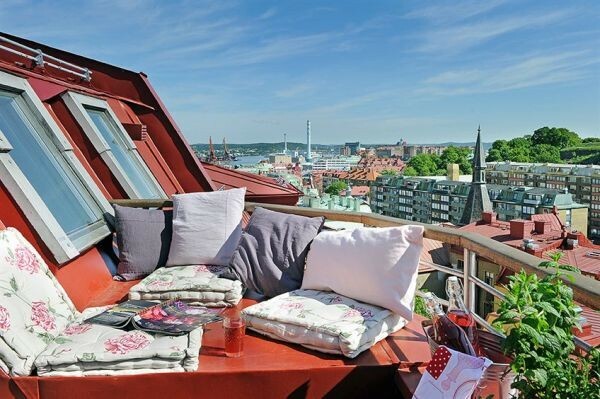 When I found this amazing loft in Sweden via here, I knew I had to share it with you! 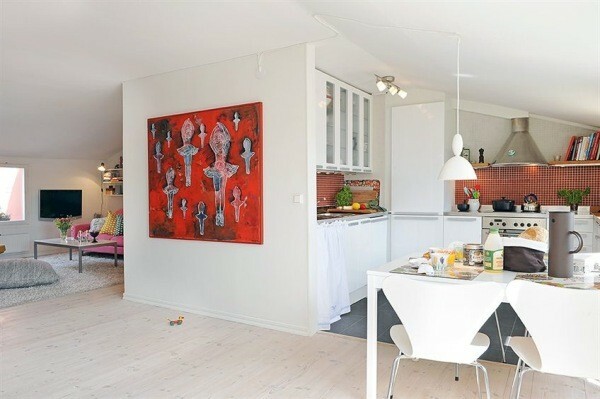 Pale floors and walls make the space feel expansive. 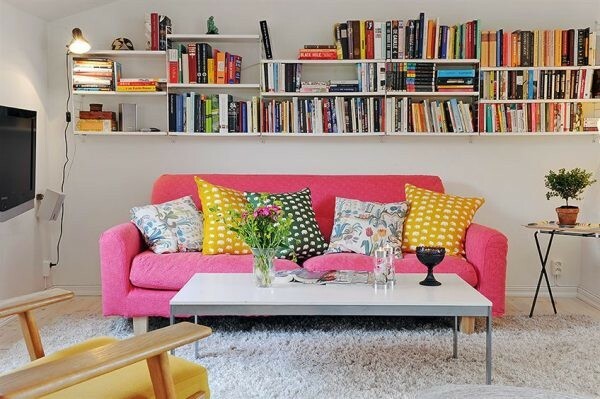 The playful pops of color add interest and create focal points. 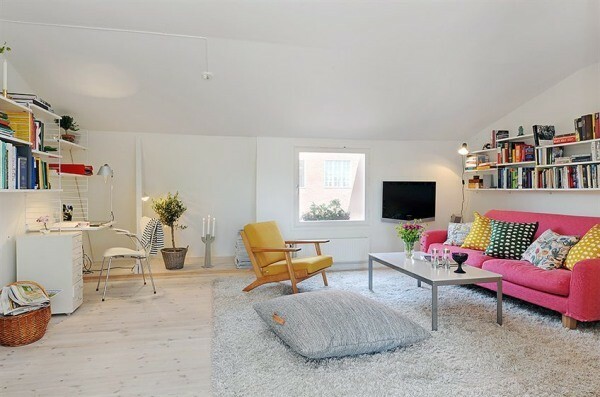 Love that pink couch! 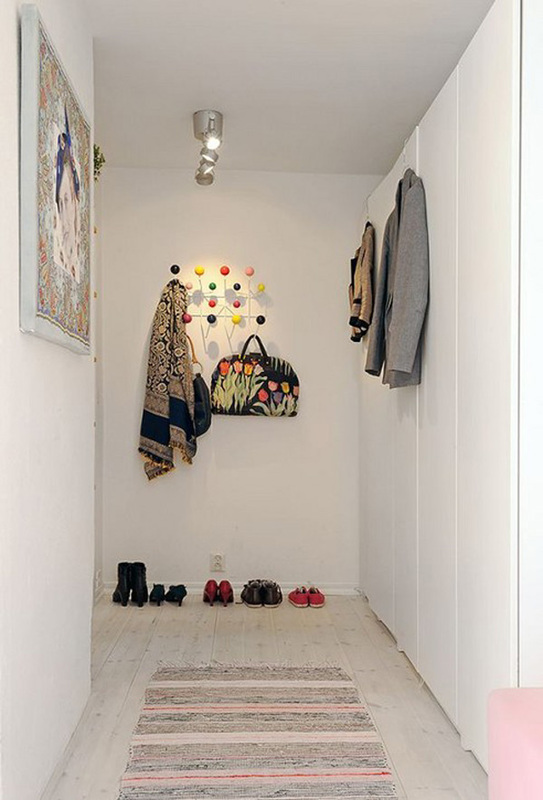 Wall mounted shelving provides plenty of storage without visually taking up square footage. Streamlined tables with slender legs keep the furniture light. 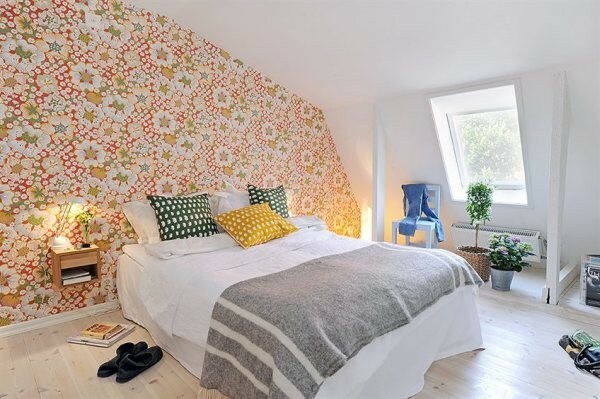 The whimsical wallpaper really gives the room personality and is perfectly balanced with the white bedding. So fresh! 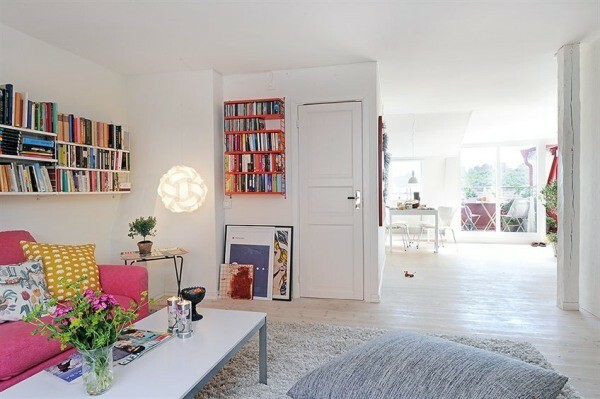 Notice the sweet floating bedside table too – remember the more floor you see the bigger a room feels! 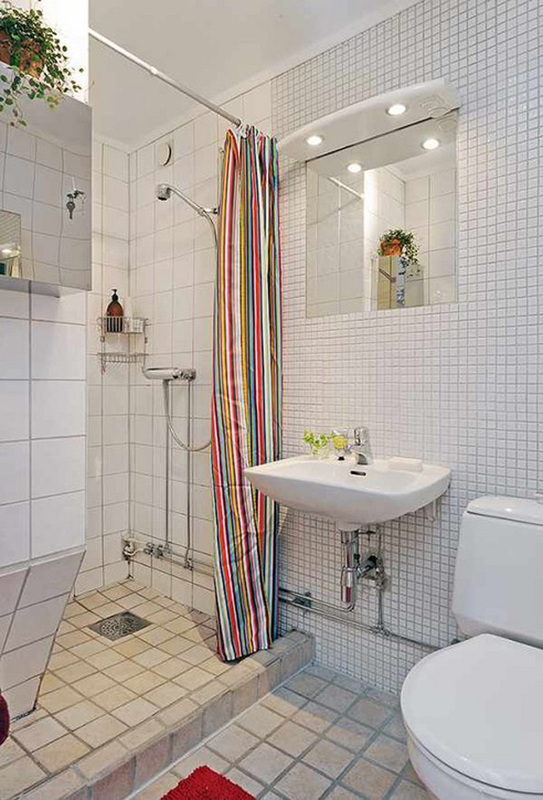 Although simple, this bathroom has a lovely appeal with the candy striped curtain and punches of red! On to my favorite part…the kitchen and terrace! Wait till you see it…you won’t want to leave. Isn’t it fabulous? I love the contrast of the light wood floor with the dark tile of the kitchen. 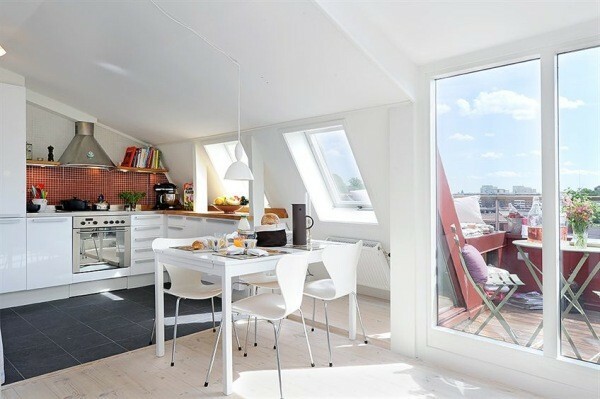 Again, the use of bold colors in the back-splash balance all the white and you gotta love the abundant sunlight! Speaking of the sun, ready to step out onto the amazing terrace? I know, breathtaking, right? 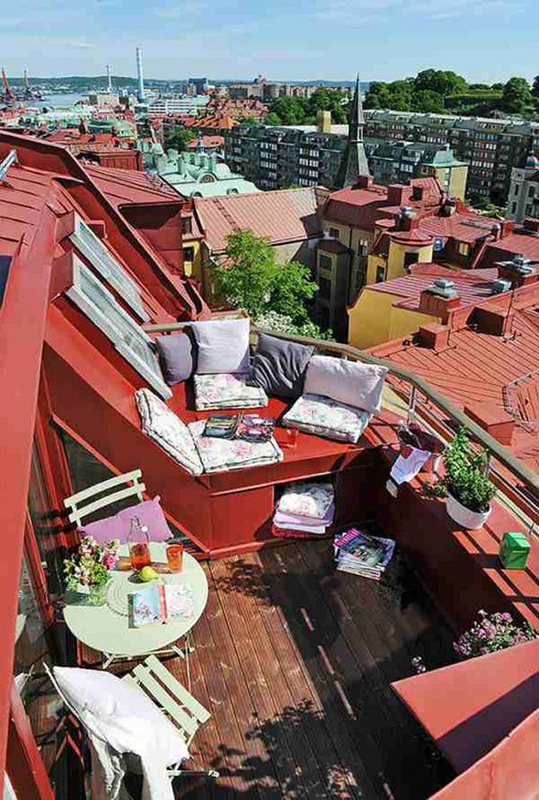 This is where I would be spending as much time as possible!